Mortal Kombat was one of the movies that helped kicked off a long line of not-so-great movie adaptations of video games. After the sequel, Mortal Kombat: Annihilation in 1997, the franchise died, but a reboot has been in the works for a handful of years. 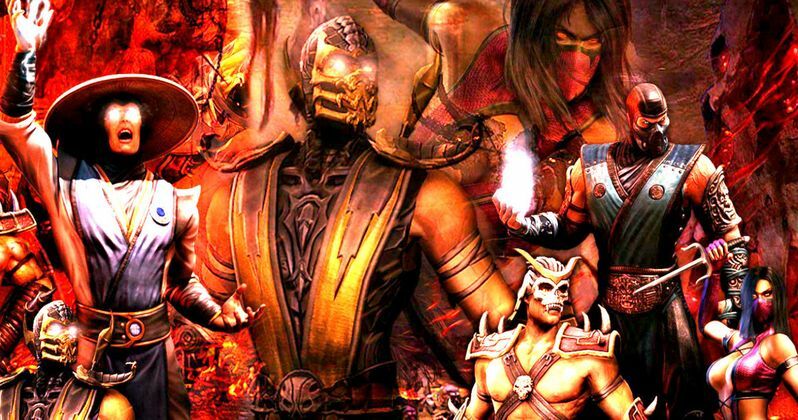 Now screenwriter Oren Uziel has revealed some details on the script that he wrote for the in-the-works Mortal Kombat movie, which is being compared to an R-rated, violent version of The Avengers. The writer/director recently spoke with Collider about his upcoming Netflix thriller Shimmer Lake. During the course of the chat, he was asked about his take on Mortal Kombat, which he wrote several years ago, and Oren Uziel, without laying out any specific plot points, gave us an idea of what we might be able to expect from this movie, should it ever actually get made. Here's what he had to say. "Well, and again I don't know what remains of this, but I know that it was going to be, it's almost like if you took The Avengers, or if you took a storyline like that and set it in a sort of hard-R, over-the-top violence and hard-edged world of Mortal Kombat. It was a little bit like that, it was a little bit like a Wanted-type story that brought together a bunch of these characters and just pulled zero punches, and had a tone that was still fun but very dark." Dave Callaham (Godzilla) has done a draft of the Mortal Kombat script as well, and James Wan has since come on board to produce, so things have probably changed quite a bit. But still, the inherent idea that these good fighters would team up and violently defend the world from some bad fighters seems like a good take on the material. "Fun but very dark" seems like the right kind of balance. Oren Uziel also explained his long history with the reboot, which was actually his first job in Hollywood. Kind of. But things really got going once he wrote the very infamous short, Mortal Kombat: Rebirth. Here's how he explains it. "I have a long history with that Mortal Kombat project. It was kind of the first thing I got hired on. After Shimmer Lake went out around town I took a lot of meetings and one of the first job's I got, and then ended up not getting, was to write Mortal Kombat for Warner Bros. But the guy who hired me exited the company before we even completed the paperwork. So it was like a job that existed and then disappeared, it was soul-crushing. But Kevin Tancharoen, who I guess was also trying to direct that movie before it went away, he called me and said, 'Hey, would you be willing to write a short that I would shoot, because I think there's something here, I think we can convince Warner Bros. to do it. I ended up writing a short for him that he shot and it became kind of a big thing, and I know he used that to convince Machinima to make the digital series which I didn't have anything to do with, and then after a couple years of that New Line came onboard to actually make a feature version again. And it was at that point that Kevin called and New Line called and said, 'Hey, you were there at at the beginning, do you wanna come back?' I said, 'Sure', so I wrote them a feature that has been the basis of what the Mortal Kombat movie will be, but it's been kicking around for a little while now. I know James Wan came on to produce, so that to me was a good sign that maybe things were heating up again, but beyond that I really don't know the specifics." When last we heard, New Line tapped director Simon McQuoid to direct the new Mortal Kombat movie. Last year, star of the original Mortal Kombat Christopher Lambert, who played Raiden, stated he was supposedly in talks to star in this new movie and that it wouldn't be a flat out reboot. Instead, it would be something of a sequel involving inter-dimensional time travel. But that has yet to be corroborated by anyone from the studio. There is no release date set for Mortal Kombat yet, but we will be sure to keep you up to date as more details on the movie emerge.